“Oh, not always, he would take us out to torture us with his horrible ideas and plans,” Becca said. “I’m not even sure I want to know,” Devon said, while searching the gym for alternative exits. Behind him the sounds of the undead banging against the doors grew. “And I know I don’t.” Emily said. “There were once many more of us.” Fosters added. “You can say that about a ten thousand times,” the sheriff grumbled. “Em, try to save our bullets for emergencies if you can.” The zombie was just turning when Devon split her skull with his machete. Two more were between them and the cafeteria while another started shuffling at them from behind. “I got this one,” Dells yelled and rushed to the one following them. “I’ve waited a long time for this, you bastards!” One violent smash later and the Walker’s head went flying off its body and hit the window with a loud bloody smack. “Who cares,” Becca yelled and then charged the closer zombie. Her bat hit it in the head and it when down, but she kept hitting it again and again, long past what would be needed to cause it to expire. “Forgive my friends,” Fosters said. “We have been trapped for quite some time. 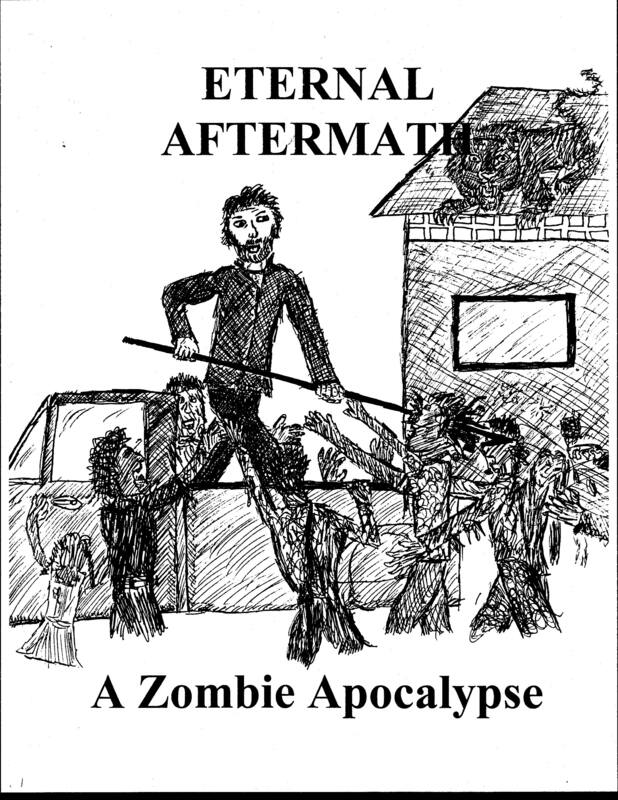 In fact…” he suddenly let out a cry and attacked the third zombie with equal vigor. “Yeah, I know, but we got other problems.” The shouting had summoned more Walkers, which appeared around the turn into the cafeteria. Devon drew his desert eagle and only hoped they had enough bullets to see this through. He took aim and the lead zombies head exploded in a jet of rancid gore. Want to get in on the beginning of the Eternal Aftermath? Check it out here!